You’re currently viewing our primary school information. Want to switch to secondary? Our school improvement programme empowers and equips teachers to improve pupils’ enjoyment, resilience, understanding and attainment in maths. What is the Mathematics Mastery programme? 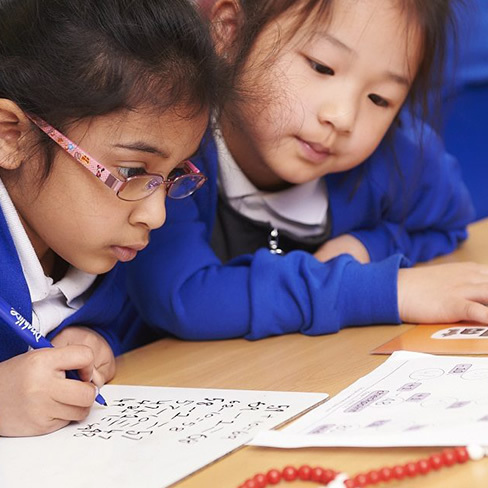 Mathematics Mastery is a research-based school improvement programme, specifically designed for UK classrooms by Dr Helen Drury and a team of experts. The programme includes five integrated components, which work together to build specialist expertise, develop teachers, improve maths lessons and drive change. Download our information pack to find out more. This pack contains a leaflet and brochure full of information about the programme. 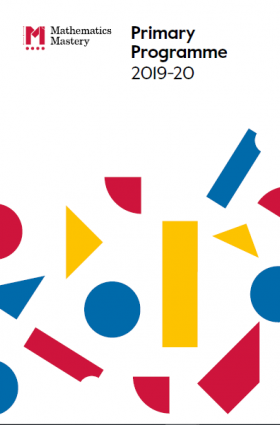 For 2019-20, the standard primary launch package costs £6,500 in the first year. We are non-profit and costs go directly towards programme delivery and development. What happens after your launch year? Mathematics Mastery is a long-term investment and most schools aim to run the programme all the way up to Year 6. This is entirely your choice and your commitment is on an annual basis. While our programme content evolves, the ethos behind it remains the same. Our classroom principles are the evidence-based foundations upon which our entire teaching approach is built. The principles are interconnected and together the whole is greater than the sum of its parts. Every child can enjoy and succeed in mathematics as long as they are given the appropriate learning opportunities. A growth mindset enables pupils to develop resilience and confidence. Pupils must be given time and opportunities to fully explore mathematical concepts. The challenge comes from investigating ideas in new and complex ways – rather than accelerating through new topics. Enabling learners to solve new problems in unfamiliar contexts is the ultimate aim of mathematics education. Identifying, applying and connecting ideas enables pupils to tackle new and more complex problems. Successful mathematicians are known to develop mathematical ‘habits of mind’. To encourage this, we must support pupils to be systematic, generalise and seek out patterns. Questioning is a key element of this. Mathematical language strengthens conceptual understanding by enabling pupils to explain and reason. This must be carefully introduced and reinforced through frequent discussion to ensure it is meaningfully understood. What does the Mathematics Mastery programme have in common with Shanghai and Singapore? Want to know how our programme will impact your teachers and pupils?